Go to My Galleries page. 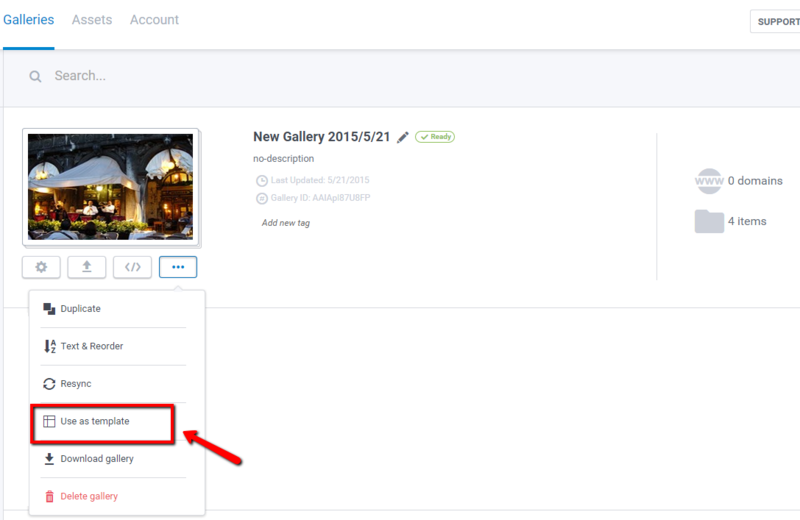 Click on “More Actions” on the gallery you are trying to duplicate and then click on “Use as template”. This feature duplicates the gallery with all included settings but without the already uploaded media.